Fernhill Lodge a low density apartment situated in the quiet and prestigious Fernhill Road, off Stevens Road and Orange Grove vicinity. 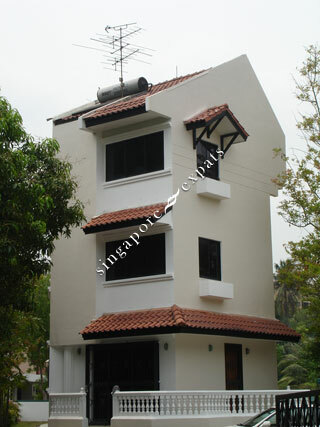 Fernhill Lodge is situated within few minutes walk from the popular shopping and entertainment belt of Orchard Road. Clubs such as The Tanglin Club, The Pines Club and The American Club are within a stone’s throw away. Good schools and educational institutions such as Raffles Girls School, International Singapore School (ISS), Overseas Family School and Chatsworth International School are located nearby. Fernhill Lodge is accessible via the nearby Stevens Road to Orchard Road and the Pan Island Expressway (PIE). Traveling to Singapore's Business District takes about 15 minutes and it takes about 20 minutes to the Changi International Airport. Orchard MRT Station is about 8 minutes walk away.